It’s totally normal for those kitchen remodeling pangs to go crazy during the holidays. If you’ve spent time at a friend or family member’s house that has a freshly updated kitchen, you may be feeling a little envious. 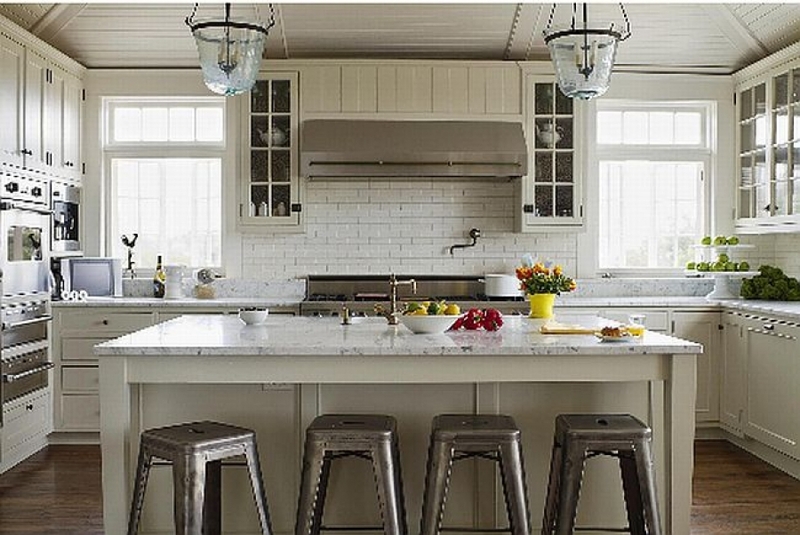 If you hosted over the holidays, your kitchen’s shortcomings may be top of mind. But is this the best time of year to finally go ahead with that remodel? It may just be. Say you set a $20,000 budget for your remodel – just under $22,000 is a national average for amid-range kitchen remodel. That number may be solely based on what you can afford, but not necessarily enough to cover what you want. Working closely with a designer and/or contractor to establish your budget based on needs and wants is step #1. Things like walls being taken down, whether or not your cabinets need to be replaced or if they can be refaced or painted instead, the quality of new appliances you want, and the cost of other materials will help determine the cost. And, you may be able to get a better deal on some of what you need at certain times of the year. Indeed, flooring, as well as items like backsplash tile and faucets have been among the Black Friday deals we’ve been seeing at big box stores this year. Home Depot and Lowe’s have both been running 40% off appliance specials that go through November 30 and which can save you thousands of dollars. Even if you’re not planning to remodel right away, purchasing appliances now may be a good idea. Remodeling your kitchen during the winter, which can be the slow season for many, may also save you money on labor costs because you’re not paying a premium for subcontractors and skilled labor. Even top contractors and designers may have a light time, and it’s probably right now. While some remodeling projects may not be best to undertake in the winter (like building a pool in a snowy climate, perhaps), hacking away at your kitchen in December or January may be a great way to get what you want quickly, and for less money out of pocket. “With some early planning and a little flexibility, you might be able to get your project in motion well before the main rush, allowing you to finish a little earlier and allowing your contractor to work more efficiently, as he or she won’t have any other projects to contend with,” said Home Advisor. “Since you’ll be providing work for your contractor when little is available, you are likely to get excellent service. Since the mistakes and backtracking are likely to be greatly reduced, the ‘slightly off-season’ is one of the best times to remodel!